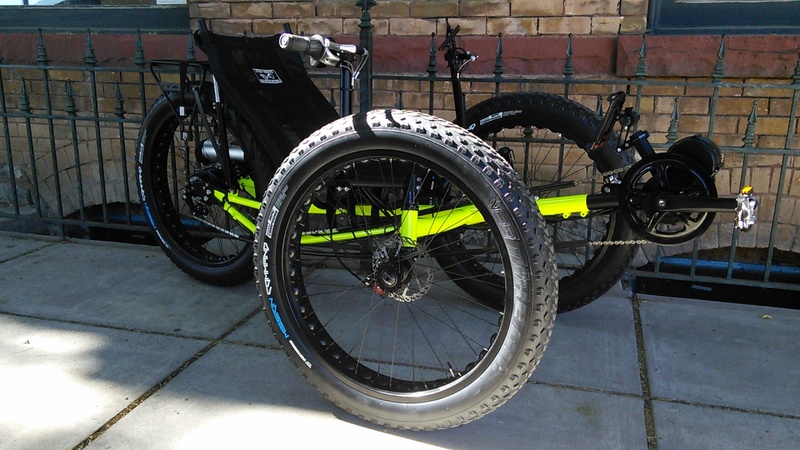 Looking for a trike that can go anywhere? With huge 26x4 tires, the Fat Tad Crawler smoothly rides over the obstacles with high ground clearance. 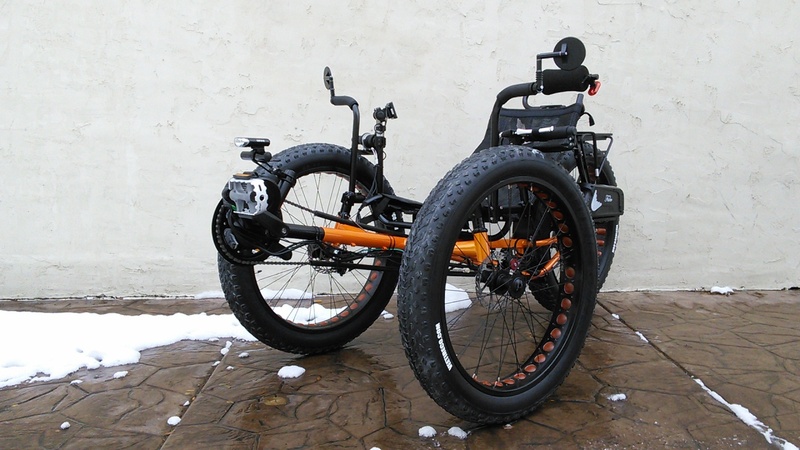 The huge tires can run with very low pressure for high traction on the beach or in the snow. 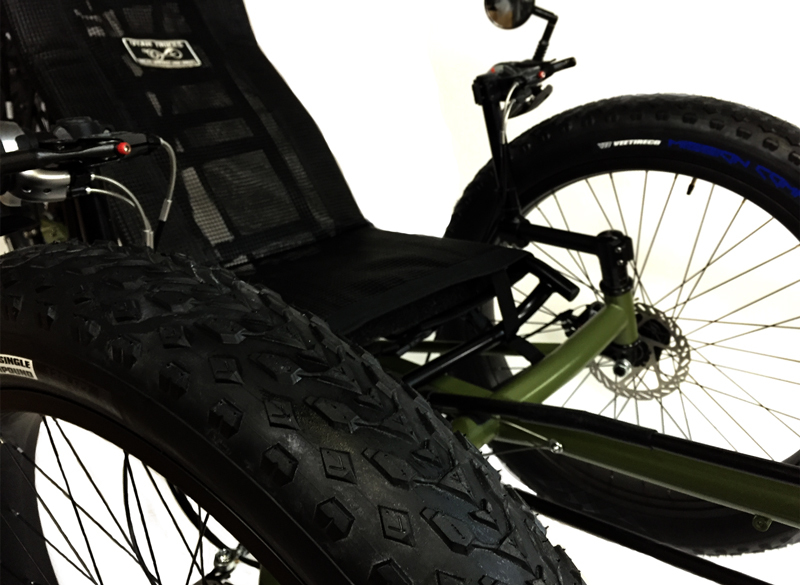 The Fat Tad Crawler makes a great off-road and off-season trike for the year-round rider. 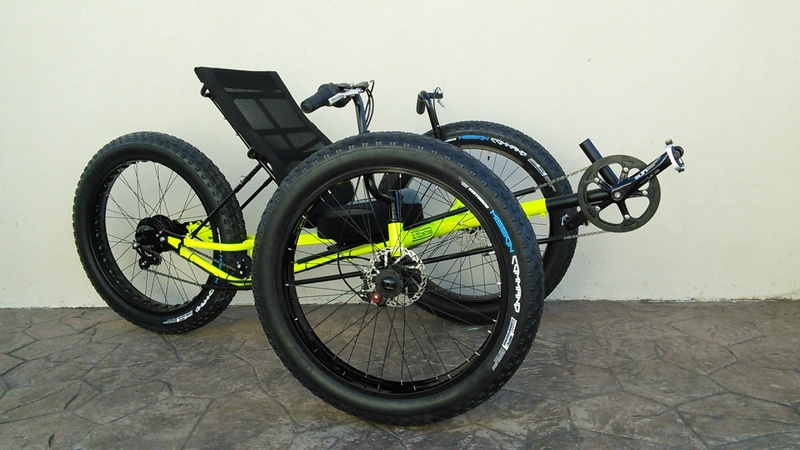 Also makes the perfect off-road electric trike. 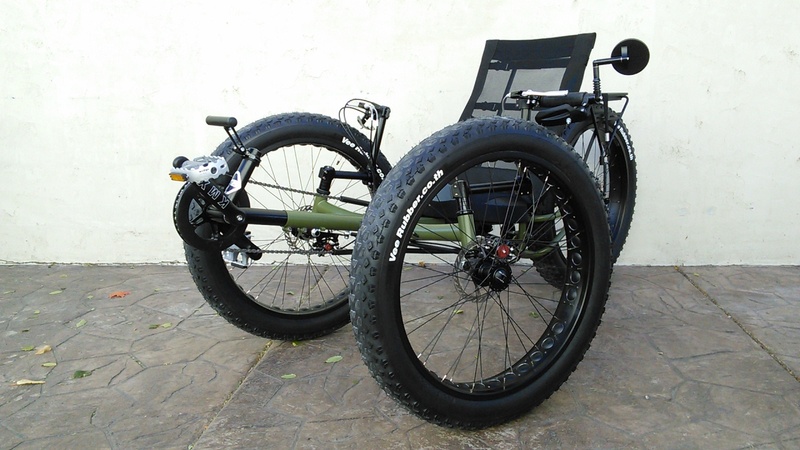 We made our first Fat Tire trike several years ago when the large tires became all the rage for riding bikes in the snow and sand. Then we started making our Fat Cat Quads and the response has been tremendous. 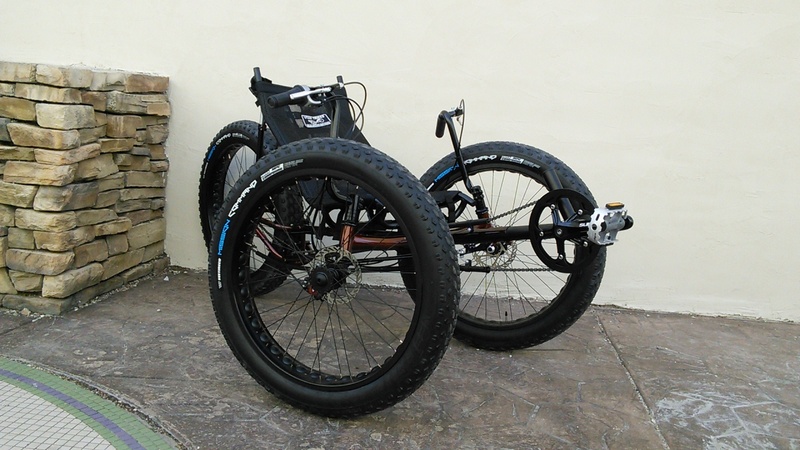 Our Crawler was the first Fat trike and still remains one of our most popular models. The most noticeable thing about the Fat Tad Crawler are, of course, the HUGE tires. It was tough, but we managed to cram 26x4-inch tires on this BEAST! With a pressure range of 8psi to 20psi you can choose a super soft ride with LOTS of traction, or fill 'em up for fast road speeds. 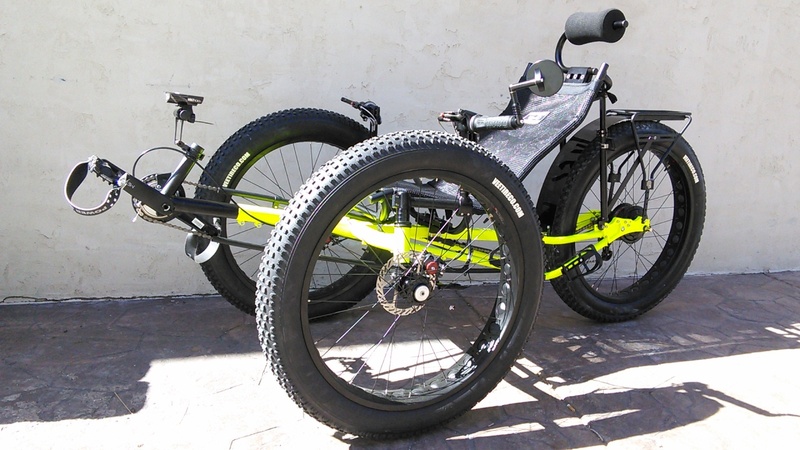 Don't let the knobby-looking tread fool you, this trike is fast on the roads as well as out in the dirt. This particular Crawler features a Nuvinci hub and a rack. Your upgrade options are endless! 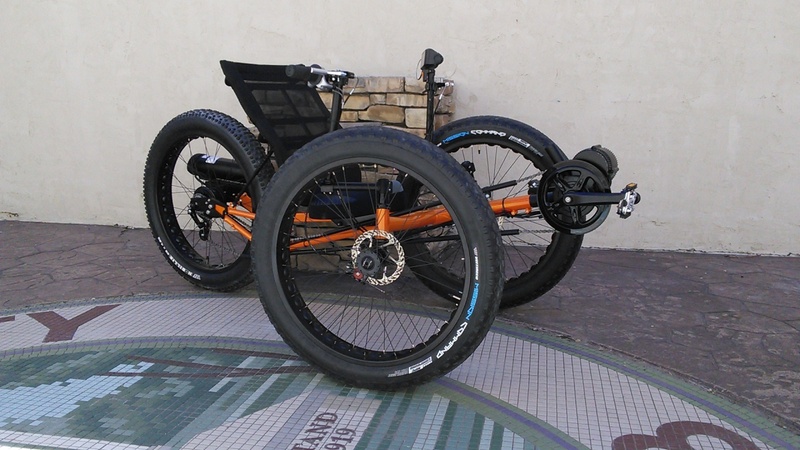 Shown here with Utah Trike's custom mesh, the Fat Tad Crawler has a seat height of 22 inches. Our seat mesh is incredibly breathable and offers lots of support. That way you can stay on the road longer. 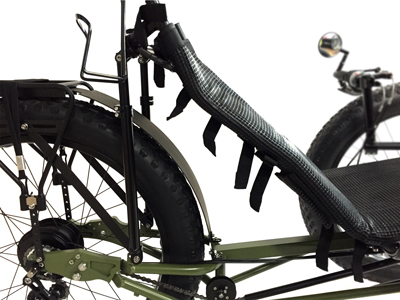 Note: The seat mesh is a recommended upgrade, the stock trike does not come with the Utah Trike's custom mesh. The Crawler also features AVID BB7 disc brakes that can supply you all the stopping power you need when you're off-roading. If you haven't been in a Fat Tad... Well. "You're missing out" doesn't seem to adequately express our bewilderment. You will LOVE the traction, the comfort, and the "go anywhere" attitude that comes with the Fat Tad Crawler. 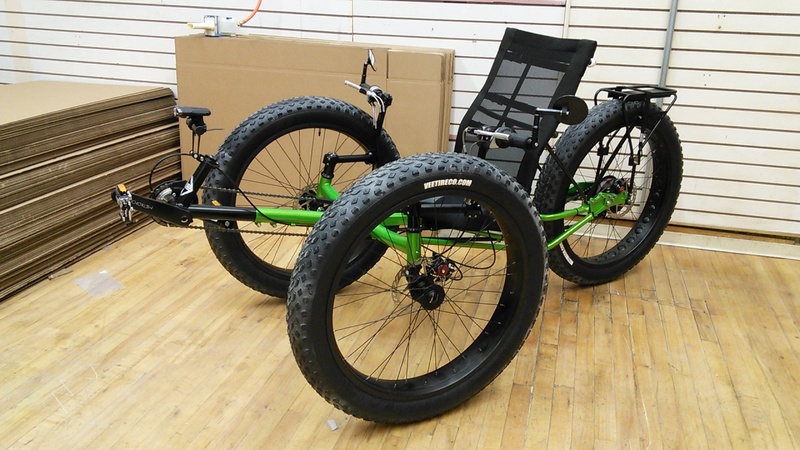 You can upgrade the gearing, the seat, add a rack, a fender, a cargo back, you name it. The possibilities are endless! Don't hesitate. You will LOVE your crawler. You'll notice a lot of the Fat Tads we build have motors on them. We have 500W, 750W, and 1000W systems preconfigured under the FRONT GEARING option. Of course, we can add additional batteries for increased range. Just let us know and we'll make sure you get the right setup!